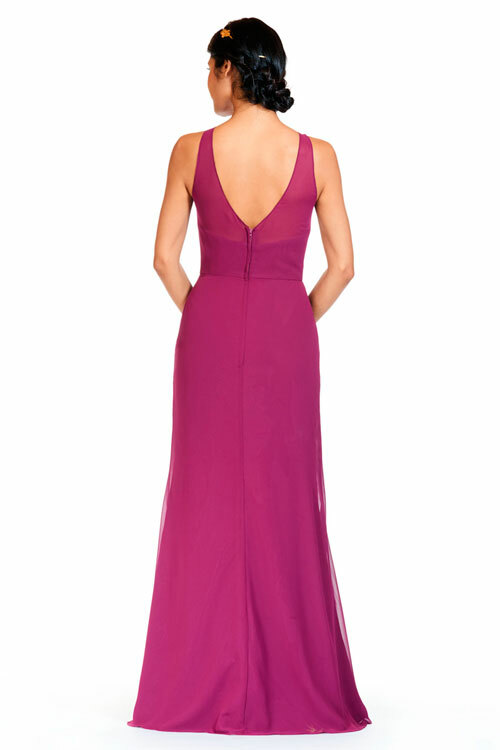 Bary Jay bridesmaid dress style 1835 - Bella Chiffon - Slim fit gown with illusion neck. A- line skirt and V-back. Shown in Raspberry.